Welcome to Ferrari & Associates. 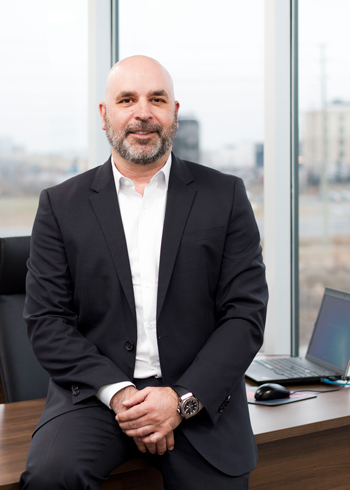 This firm was founded in 2009 with the vision of creating something different in Toronto’s insurance industry — something elevated. Since then, I, alongside the team of highly skilled insurance professionals here at Ferrari & Associates, have strived to deliver the finest insurance services available in and around the city. We are the architects of the insurance industry. Our mission is to enhance your experience and perception of how you protect your family, your business and yourself. We understand that insurance is an integral part of modern-day life, so we have become the company that best understands our clients’ needs and the insurers’ products. We do this by educating insurance companies on our clients’ needs, and in turn they provide us with innovative solutions and products to protect our clients. At Ferrari & Associates, we educate, inspire and challenge our team to become leaders in the insurance industry by utilizing our strong workplace culture and our recruitment process to acquire team members who share our vision and values. I know that you and your family will feel the utmost protection, respect and appreciation under the care of our insurance experts.